Last time we saw Justin Vernon he was wearing a Bart Simpson T-shirt in Texas, paying homage to Carole King with his childhood roots rock band, DeYarmond Edison. It was March then, and in the same month Vernon told Rolling Stone that, "somewhere along the line" between For Emma, Forever Ago and becoming Kanye West's falsetto he, "forgot how to write songs." Vernon, known for recording his sorrows in solitude, stopped writing songs by himself on his guitar. 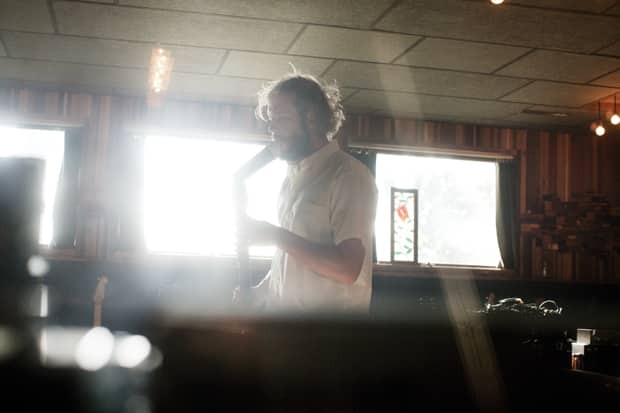 He built up the compositions that comprise Bon Iver, the album he'll release on June 21st, but he's no longer their sole voice. On "Calgary," Vernon's vocals are kindly swaddled by organ hum and hiking drums. To get the track you have to lend the band a real email address, but they're nice guys, so don't worry about it.